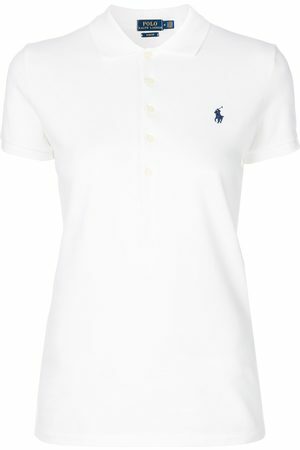 In pristine white with a round neck, this cotton t-shirt from Polo Ralph Lauren is a versatile staple with a round neckline and minimal branding. Short sleeves and a boxy fit keep it easy for layering with blazers or cardigans. Show morePolo Ralph Lauren SALE!